Hi everyone I'm Jack Red, still hard to believe four horror movie villains are already in Dead by Daylight. A game that gets compared to Friday the 13th: The Game very often being divided. I felt I should do something a little different. I want to make a blog of possible future killers that may be coming to it in the near future. Of course this game has plenty of original survivors & killers. I felt the demand for more horror movie villains is constantly growing. It is being treated similar to Mortal Kombat series in that regard I'm not kidding. When I first heard of this game I didn't think much of it. Oh man I am glad I looked into it afterwards. I'm sure everyone has their own list on this topic. This will be strictly my top alone not inspired by anyone else's. I really put a lot of thought into how they could work in this game. This is as close of in your face pitch to the team I'm going to do. I'm positive they got their work cut out for them since they are also doing another game soon. Some may consider this a joke choice. Let's be honest it would be perfect to have him for many reasons. The most obvious reason we do need some kind of dark humor within Dead by Daylight. Just enough it is still incredibly dark but at the same time you could get a laugh. Of course St. Patrick's Day has also become a day it is recommended to watch his movies. I know I really don't need to say this but please give us any of the Warwick Davis' leprechauns. He is a magical creature capable of ridiculous things. Leprechaun can teleport around the map with a lot of powers can be included within your skills for him. Sure he may not look or act scary but comedy horror sometimes makes a huge difference. Warlock is attempting to end the world. 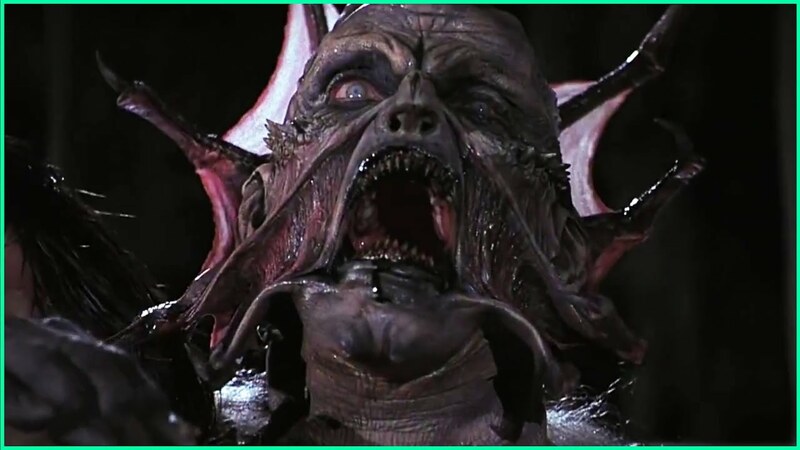 To be honest I almost went with Wishmaster until I noticed a few flaws with him. This guy can attack people at a distance as well as flying and magic stuff. Hell it is in the name after all. Warlock could freeze one or two survivors at the most with a particular move. Hell he doesn't even need to directly carry you since he has powerful magic. The big problem with him is obviously how can we limit his abilities down enough for it to be fair. The last thing they want is no one can win against him in their game. Warlock would bring so much craziness with him. They would have their choice of what should be the map from his movies too. Trust me we do need a magical killer in this game. 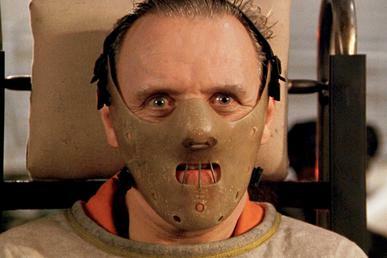 Dr. Hannibal Lecter is a cannibal that understands other serial killers. This guy got a couple of movies and a show. I think it would be scary if Lecter starts the match in what he's wearing in the picture above. When the match begins Lecter breaks free of it to go after the survivors. I believe his kill move will be him eating you to death. Obviously this should look like Sir Anthony Hopkins since no one has done the character better. Dr. Hannibal Lecter could say some great lines to throw you off your game. I think one of his moves should be him charging at you from a short distance very fast. I felt he can hold his own against the other two medical workers already in the game for many reasons. Maybe a odd choice but in a way it could work. Evil Ash is Ash's darkside that got his own bodies. Counting Ash vs. Evil Dead, Ash defeated three different Evil Ashs. You should get a chainsaw hand & his boomstick as weapons. I know the good Ash has a lot of fans but it would be difficult bringing him & the deadnites in at the same time. Unless you went with Evil Ash that does both of those things. This guy is easily one of the nastiest horror movie/show villains I have ever seen. I hope they do with the original Evil Ash's final look from Army of Darkness. Hell if we are lucky maybe Bruce Campbell might voice the character one last time for us. A vengeful ghost that truly wants love. Candyman may have different versions to how he came to be this way. All of them maintains his love for a woman that led to people being disgusted by it. Candyman can use bees to weaken the survivors. Obviously his hook is going to do some damage to them. Considering he is a ghost, he can teleport around the map. I hope they can get the actor to requote some of his greatest lines. Candyman is still terrifying to a lot of people. Of course I should mention saying his name five times at a mirror. He will appear to kill you right afterwards. They could do a lot with him that could work for Dead by Daylight. Oh hell yes Ghostface is another huge request people want in Dead by Daylight. Of course I have my own reasons. 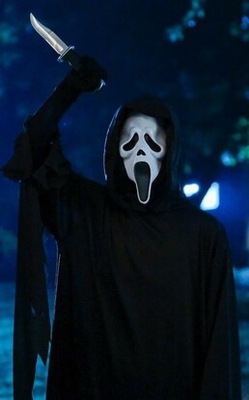 In everything Scream one or more people are dressed in costumes killing people. The basic plot is they are using the excuse of staging every murder right off horror movies for revenge. In some way ever killer had something against Sidney's mother. This concept could be used within the game. Ghostface could appear as one of the survivors at first. At some point they have to change into the costume to kill people. They rarely kill anyone without wearing it. I would fall out of my chair if they get the guy behind his famous voice. They even could bring the cell phone calls in as a way to disturb you from what's coming next. We have two evil medical workers going around killing people. I felt we needed a corrupt cop that would put fear into people. I really couldn't think of anyone better for the job than Matt Cordell aka Maniac Cop. OMG the stuff he does in all three movies is something else. He isn't afraid to kill innocent people on the spot. Personally if he does make it in the game please go with his look from Maniac Cop 2. Easily the scariest look among all three of them. Officer Cordell does have some crazy weapons & abilities. Honestly the police in general does scare some people. This guy would make a great addition to the game. The Creeper could get a map based on the first movie. When he gets close that song plays you know similar to Michael Myers or Jason in his own game. The Creeper is known for setting traps to capture people. I think they could allow him to fly just high enough it wouldn't be considered cheating. We already have a few killers that float long distances in short period of time. This creature already has a great urban legend story behind him. A lot of people really want The Creeper to be in Dead by Daylight. They could allow him to remove his clothes to truly bring out the terror. The Creeper has a couple of possible weapons he could be bringing with him. I felt they should include The Creeper in this game it is almost like bread & butter. The Tall Man is rising the dead to kill off the living. It isn't exactly clear what being The Tall Man actually is. What we do know is he has some scary abilities that would work perfectly in this game. In a sense he could use a device to teleport around the map. He could summon some of his minions to over whelm the survivors. His kill move could be him sending one of those orbs after you with a painful death. The Tall Man is already known for being very mysterious. Let me put it this way if they don't get Slenderman. The Tall Man would probably be the next best thing. This guy can easily lift or throw a human with ease. I felt there really is a lot they could do with him. Easily the best pitch I can throw out to the team. You guys are aiming to scare people while playing. In my mind nothing is scarier than this creature. The Thing is a parasite alien that can shape shift into animals & humans near perfectly. This by itself allows a major opportunity to really surprise people. Considering that you could have The Thing transform into any survivor currently in match. Yes a killer character that also temporary has traits of a survivor character makes one hellish combination. The paranoia would already be high knowing it is in the match. At the same time you won't have much to go on to know which survivor is actually the creature. The Thing can move several creepy ways. If that's not good enough then please allow me to throw out what I think is the single greatest reason. For being The Thing in Dead by Daylight in the near future. Currently you don't have any shape shifters or aliens. Both of them does have a lot of fans it would be the perfect way making them happy.